Paliavana gracilis has attractive flowers; this photo illustrates the calyces with long lobes free to the base. This group comprises four species — one in Paliavana and three in Vanhouttea, clearly showing that the nomenclature is not consistent with the phylogeny (family tree) of the alliance. One shared feature of this group is that the calyx, though fused at the base has lobes which are are free for most of their length and detach early in the development of the flowerbud. This is by contrast with Paliavana tenuiflora (for example), which has calyx lobes which enclose the developing flower bud until shortly before it opens. 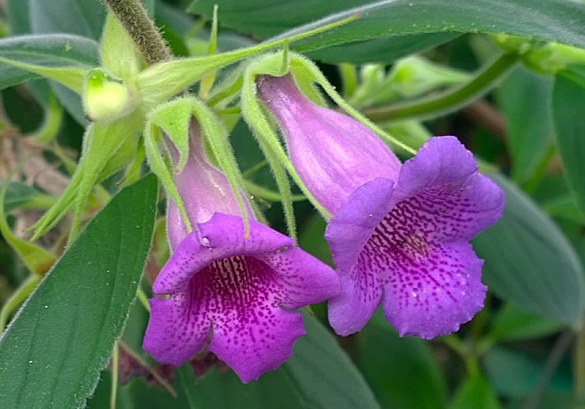 This feature is not exclusive to this group however, as some other species (such as Sinningia gesneriifolia), have it too. The four species in this group are Paliavana gracilis, Vanhouttea leonii, V. pendula, and V. hilariana. None of the species in this group have tubers. 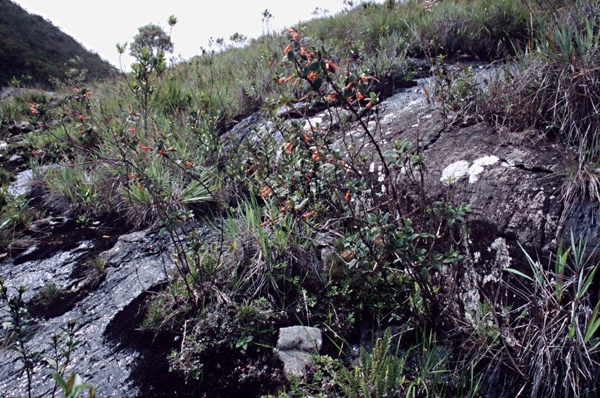 Vanhouttea leonii grows as a shrubby plant in exposed locations.